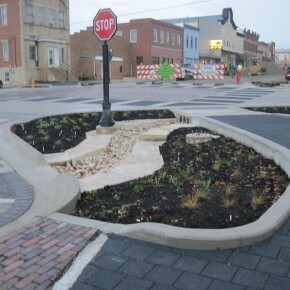 West Union Green Streets Pilot Project showcases innovative sustainable design strategies including permeable pavements, pedestrian crosswalk treatments, rain gardens, energy efficient lighting, and a district-wide geothermal heating and cooling system. The project includes the complete renovation of 6 downtown blocks and will replace aging water, storm and sanitary sewer infrastructure. Clayton County CAN is a brand new non-profit organization and grassroots network with a vision of creating a more unified and inspired voice for conservation and the generations to come.